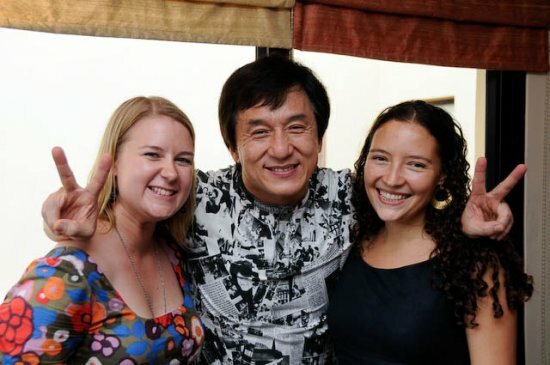 As friendly as many of his characters on screen, Jackie Chan made a rushed visit to Cambodia on Nov. 10 and 11 as part of the ongoing “Bridges” lecture series on peace. In a one-on-one with AsiaLIFE’s Nora Lindstrom, he spoke about the ongoing diplomatic row between Cambodia and Thailand, what being Chinese means to him, and who would win a fight between him and Chuck Norris. AL: You arrived in Cambodia last night, what has the experience been like so far? JC: He would win. Because I’m the one who talks about peace. That’s the problem, everyone thinks they’re strong. If you beat me, or even if you kill me, I might knock your teeth out - we both get hurt. Before, I wanted to be a bouncer and that’s why I learnt so many martial arts. Later on, I found out I had hurt somebody and run away. Two days later I found out his tooth was still in my hand. I thought there was a problem with my bone. I didn’t know if I’d killed the guy or just knocked him down – I was scared for a whole month. Every day I watched the newspaper to find out if I maybe I’d killed someone... If you hurt somebody, you hurt yourself. In fighting, you both get hurt. That’s why when the International Peace Foundation contacted me I said yes. I’ll come right away.